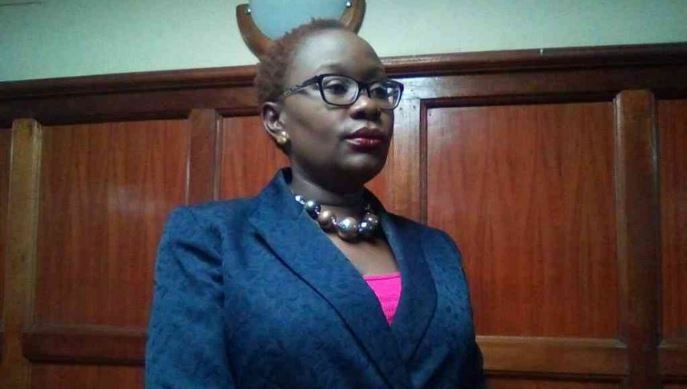 Former legislator Joy Gwendo has pleaded guilty to three counts of fraud after reaching a plea bargain deal with the DPP Noordin Haji. In the agreement, the former nominated Senator will pay a Kisumu Sacco Sh1.7 million, the amount of money she is alleged to have stolen from Kisumu East Cotton Growers Cooperative Sacco. Appearing before Anti-Corruption Court Chief Magistrate Douglas Ogoti, Joy Gwendo pleaded guilty to a count of abuse of office and two others of issuing bad cheques. Gwendo confessed that she issued a cheque of Sh300,000 to Kisumu East Cotton Growers Cooperative Society through CFC Stanbic Kivuli’s development initiative’s account yet she knew there were insufficient funds. She also admitted to issuing another bad cheque on the same day worth Sh950,000. On the abuse of office accusation, Gwendo admitted that on October 23, 2016, at Chiga parish in Kisumu, she used her position as a state officer to confer herself Sh2,226,880, money which belonged to the Sacco. Following the agreement, the DPP agreed to withdraw two counts of forgery and stealing that the Gwendo was facing. She had been accused of forging a Sh200, 000 cheque drawn from a Kenya Commercial Bank account in favour of Kivuli Development Initiative and signed by Willy Kipkorir Bett. The Court allowed the politician to settle the contested amount in four installments. Gwendo will be sentenced on December 7 after repaying the funds.